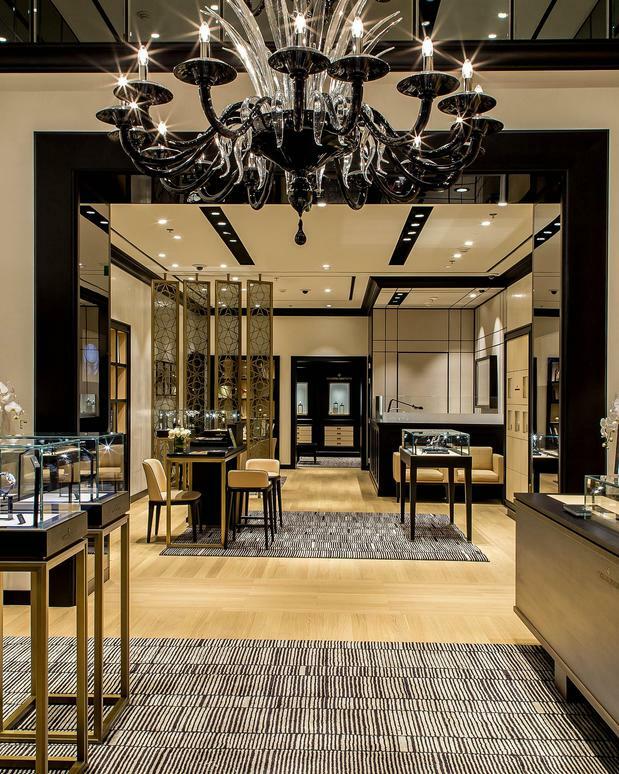 With more than 200 square metres of floor space, the Vacheron Constantin Taipei 101 boutique creates a welcoming space for watch enthusiasts and collectors, displaying its exquisite timepieces and boutique exclusive models in refined showcases. Mirroring the brand, the interior design is strongly influenced by the use of noble materials and artisanal work, incorporating contemporary elements into the traditional design. The outcome is an architectural perspective that reveals the brand’s constant search for excellence and aesthetic perfection. The finishing has been created according to a detailed and elegant colour scheme, emanating a warm and comfortable atmosphere dedicated to technical and precious Haute Horlogerie. The Venetian glass decorations create an environment of refined elegance that allures customers to appreciate the culture, history and tradition of excellence that defines Vacheron Constantin. To cement the essence of the Maison’s transmission of know-how, the boutique is proud to have its own full-time watchmaker, trained by Vacheron Constantin to handle and service Vacheron Constantin timepieces. This highly coveted addition will bring a strong element of interaction between clients and collectors alike, allowing a much more intimate insight into the Manufacturer and its heritage. Taipei - Zong Chong Watch Co., Ltd.